Got wet (or damaged) beans? It has been a tough season for soybean farmers in Minnesota, on many fronts. The icing on the cake has been the difficult and lingering harvest season. Record rainfalls in early October, followed by below average temperatures complicated the lives of many farmers across the state of Minnesota. Fortunately, the USDA-NASS November 19 Crop Progress report indicated that 98 percent of the soybeans in the state have been harvested. 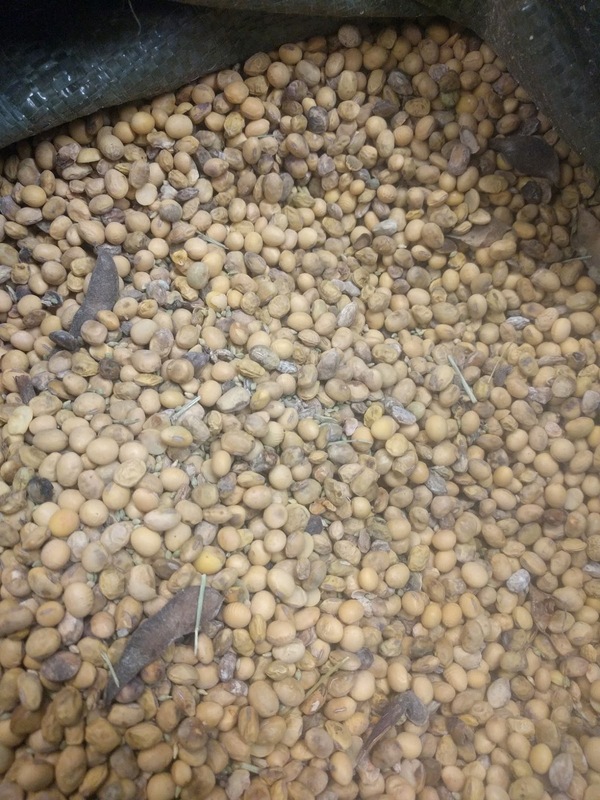 However, we know that not all of the soybeans harvested and in the bin are in good shape. Many were harvested too wet for long-term storage. Some isolated fields may have produced soybeans that were damaged by sprouting, mold, or flooding. With reduced exports, soybeans are literally piling up at elevators and grain terminals. Elevators have little incentive to receive wet or damaged soybeans and are imposing steep dockages for less than perfect soybeans. Farmers are storing soybeans in rarely utilized storage facilities. Undoubtedly, there are some soybeans out there that will not be marketable. 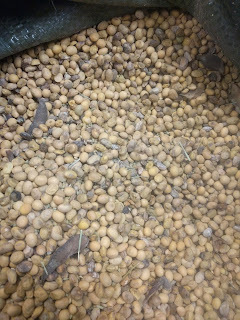 One option for some farmers in some areas is to feed whole raw soybeans to cattle. Farmers with wet or damaged soybeans should search out local cattle farmers as a possible destination for their unwanted crop. A nice summary from UNL of inclusion rates for cattle can be found here: Whole raw soybeans as a cost competitive protein supplement for cows and calves.